Travelling is great for a lot of things. Open-mindedness, confidence, education.. travel is in many ways the greatest teacher and biggest personality builder. But one thing travel isn’t naturally amazing for is the environment. From the actual act of travelling, to staying in hotels and making use of their often detrimental services, to creating the need for chain stores and multi-national restaurants popping up in places where they wouldn’t exist otherwise, travel can really make planet earth and the array of cultures within suffer greatly. But don’t worry, you don’t have to hang your backpack up in order to be an eco-warrior! There’s lots of steps we can take to travel more sustainably and if we do them right, they can actually help the environment, the preservation of culture and the people of the countries we visit. It’s not about not travelling, it’s about travelling differently. A lot needs to be done to help preserve Mother Earth and her natural resources, but in the last few years a lot of awareness has been raised and action been taken to make big companies more sustainable. An example of this is IKEA, who although supplying mass-produced furniture, do everything possible to minimise their carbon footprint. This includes the use of flat packed furniture to maximise space, eco-materials and powering their stores on reusable energy. Patagonia, an outdoor adventure store chain, are another fantastic company conscious of their eco footprint. They use sustainable materials in almost all of their products and discourage customers from buying items they don’t need – even if that impacts their sales. On the travel spectrum, G Adventures are a tour operator who raises great awareness about the importance of travelling sustainably. There’s lots of other environmentally friendly travel companies, and more and more green hotels are popping up all over the globe. But, I’m not a business CEO or hotel owner, I hear you ask. How can I make steps to travel sustainably? Well, it’s easy. 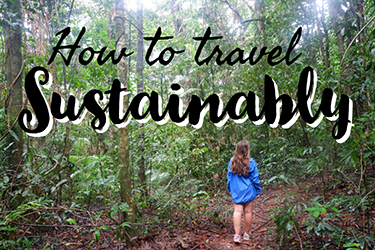 With the help of some other travel bloggers, I’ve put this list of 100 quick sustainable travel tips to help you have a more green holiday. Some of these ideas are more drastic but even if they are too dramatic for your views and lifestyle, they’re great things to consider and do your own research about. 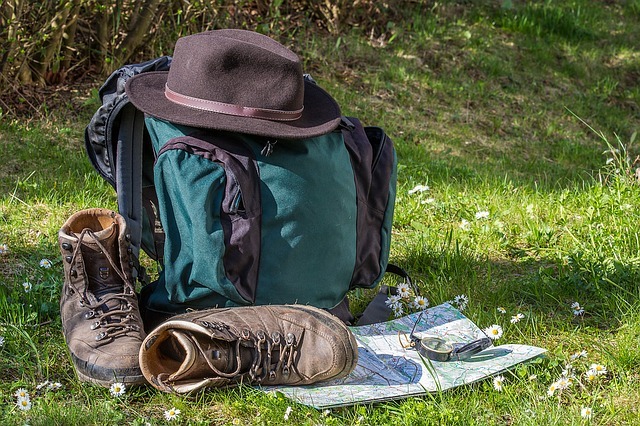 Are you ready to be a more eco-friendly traveller? 1) Pack less- less baggage weight simply means reduced pressure on the vehicle you’re travelling on, so subsequently less fuel emissions. The five kilos less from you might not seem like much but if everyone did it the impact would be huge – and why not be one of the first ones to do so? 7) Research your destination and know the ethics of travelling there. Read about the best accommodation to stay in to support the local community and know whether it’s best to eat street food or dine in local restaurants. Advice is different for every country and city, so do your research for each place you visit! 8) Start being eco-friendly before you step out of your front door by turning and unplugging all of your appliances and ensuring you don’t leave any dripping taps. 16) Ladies – use a mooncup during that time of the month. Tampons and sanitary pads are hugely wasteful, and a mooncup can be recycled forever. It will not only save you a fortune AND leave much more room in your bag for more enjoyable items, but will be good to the planet at the same time. 19) Pack a kindle instead of 10 books – it’s a fraction of the weight and saves on hordes of paper! 23) Staying in dorm rooms in hostels are eco-friendly by nature, as you’re naturally saving space by sharing rooms and bathrooms. Most countries now have hostels with dorm rooms – I’ve stayed in great hostels while backpacking China and some amazing spots in Australia, such as the amazing Old Fire Station hostel in Fremantle, Australia. 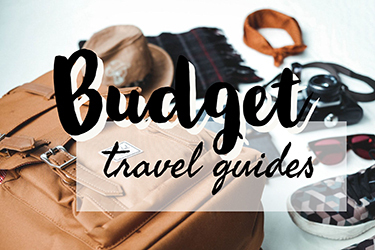 Budget travellers, use this to your advantage! 26) Spend time camping or even living in a tent while travelling! 32) Always ask reception about their hotel or hostel’s recycling system. If they don’t recycle then ask them why! 34) Don’t use hotel/hostel laundry services. To make sure everyone’s stuff doesn’t get jumbled, each persons bag of laundry is washed separately resulting in excessive water use. Where possible, carry a small amount of hand wash soap power (handsoap/shower gel are a good substitute too!) 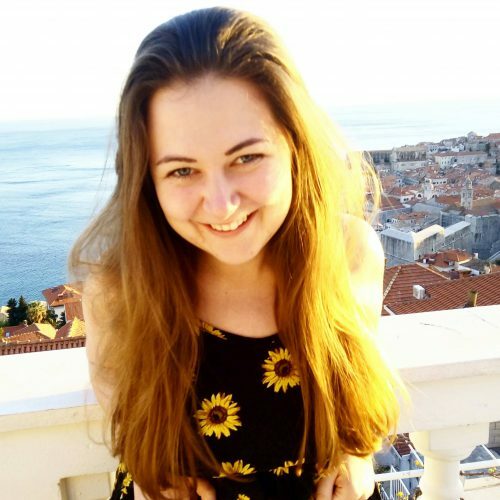 and do small loads yourself in the hotel sink – by Vicki from Make Time to See the World – read some more of her responsible travel tips! 37) Don’t have long showers or shower more than normal just because someone else is paying the water bill! 38) Consider putting a “Do Not Disturb” sign on your hotel room/lodge door. That way the housekeeping staff won’t clean your room every day – who does that at home anyway? This helps save on the use of harsh chemical cleaning supplies and the electricity used for vacuuming and washing your bed linens. – Bret from Green Global Travel. Check his blog out for more information on what ecotourism is! 41) If staying in hostels, put leftover food that you won’t eat in a ‘free food box’ – most hostel kitchens have them and a full box can often make a backpacker’s day! 44) And think seriously about ‘animal conservation’ projects. I’m still not sure if the Chengdu Panda Base is ethical or not – I’d welcome people’s opinions! 45) Don’t feed wild animals when admiring them! 48) If going on a scuba diving/ snorkelling tour, ask if they ‘chum’ the waters – which is when they put unnatural food into the seas to draw marine life closer. This can make the animals sick, aggressive and reliant on unnatural food sources – so only go with tour operators who don’t do this. Check out this article for advice on how to choose a responsible scuba diving operator. 49) Don’t ride elephants. They aren’t designed to be ridden. If you want to get up close and personal with elephants, go to a rescue sanctuary like Elephant Nature Park in Thailand. 50) think seriously about riding any other animals; even if they are designed to be ridden they are still kept in captivity. Do research before getting on one! 55) Take part in beach clear ups – or organise your own! 60) Eat street food – it often directly helps out a local vendor and is a great budget travel option! 63) Drink locally brewed beer and wine – there’s normally a great option for your destination! 64) Shop local – it helps out local businesses and manufacturers. Avoid imported products like the plague! 71) Or better still – walk! 75) Hitchhike yourself if you’re feeling brave! Find out more about these issues in Kathryn’s article How to be a responsible, child safe aware traveller. 78) Avoid voluntourism by meticulously researching volunteer companies and only working with organisations that are relevant. 83) Go on an ethical tour to meet indigenous tribes – it can be your most memorable holiday moment. Not only do you get to meet people living in a completely different way but you also get to contribute to their community. On a recent trip to see tribes in Costa Rica our money went to help build a university. – Paul from Global Help Swap – here’s his account of visiting a tribe in Costa Rica. 85) Ask companies how they give back to their community by helping the locals and the environment. If they can’t think of anything, politely suggest that it might be time to make some changes! 86) Ensure to always ask before taking photos of locals – not only do some cultures dislike having their picture taken, meaning it can cause great offence, it’s always polite to ask rather than just snapping away. 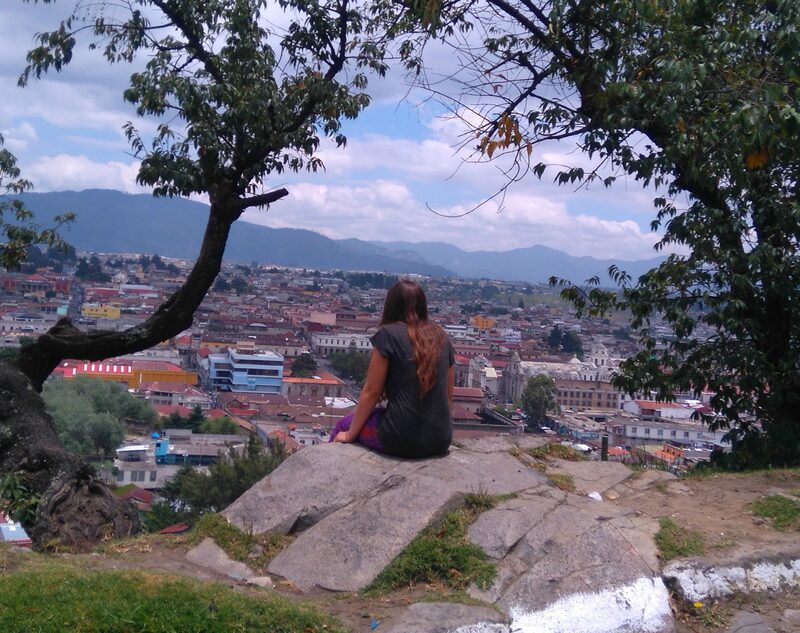 You might have to mime or gesture with your camera if there’s a language barrier but it’s a simple question to remember to ask, wherever you are in the world – Sarah from Not Another Travel Blog. 98) Work for accommodation and try and implement sustainable practices into the company. For example, when I worked in Byron Bay as a cleaner, I suggested the hostel put signs up in the kitchen about recycling and I made sure that everyone always separated the rubbish collected from dorm rooms. 99) Share eco-travel stories – whether they be on your professional or personal blog, on facebook, twitter or Instagram or in emails back to friends and familyThe last of my sustainable travel tips…100) Remind yourself daily how lucky we are to be on this planet and have the opportunities to travel around it – something that a lot of the world does not. Eco-travel can be complicated and we all slip up sometimes, but a constant reminder to not take this world for granted will really help you implement sustainable practices not just on one holiday, but for the rest of your life.So the 100th of my sustainable travel tips is to adopt green travel as a lifestyle and mentality. Calling yourself a sustainable traveller and telling people ‘I travel in an eco-friendly way’ will install you to make these changes not just temporarily, but forever.And when people see you living your life in a more resourceful way, they’ll be inspired to do the same.Please spread the word about the importance of eco-travel by sharing this article!For more tips and stories, follow me on Facebook! Great list, thanks. It’s not always easy, and sometimes more expensive to be a conscious traveller, but I think our planet is worth it. Wow! This is a really great list. Thank for the guide! To be honest, I didn’t know a lot of the things you where writing about. For example I always wanted to go on a cruise, but after reading how they destroy the reefs I will have to think about that dream again. I was backpacking in Australia for two years and a lot of the things you are writing about were normal to do, even without thinking about nature. Camping in your car or in a tent outside of town instead on camping grounds, have free (cold) shower on beaches, share rides, use bicycle or walk to get around. We did it all just to save money, but of course it is better for the environment too. We took and left food in share boxes of hostels, cooked together to be social, gave a way old cloth or shampoo, we couldn’t fit in our backpack. To be honest, we all should think about the nature, but as well about other people. I don’t agree with all of your points, but I don’t want to start a discussion about it. 🙂 Just want to say thank you for your list and I definitely learned something! Wow tons of great tips and some things that I didn’t even consider! Thanks for the information! Fantastic tips. 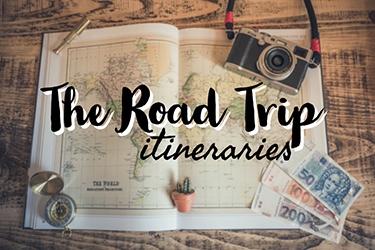 I just read an article about how traveling can be one of the most impactful things on the environment, but there are ways to minimize the effort, including these great ideas. I do most of them, but I learned A TON! I carry a straw in my purse, but have the hardest time getting servers to remember and listen when I ask for no plastic while traveling! haha. I can’t wait to put these to use! Great read and tips. Awareness of sustainable travel is extremely important in this day and age. I’m big on recycling but do find it frustrating when you visit some places and it’s extremely difficult. I also think in some countries, such as India, there needs to be better education or awareness of disposing of little etc. I would often see so much rubbish at the side of the streets and along the railway. Great list and informative tips! Whenever I travel, I always bring my solar-powered powerbank because my phone’s battery is my life. Without it I won’t be able to take inspiring photos. Anyways, thanks for sharing this!